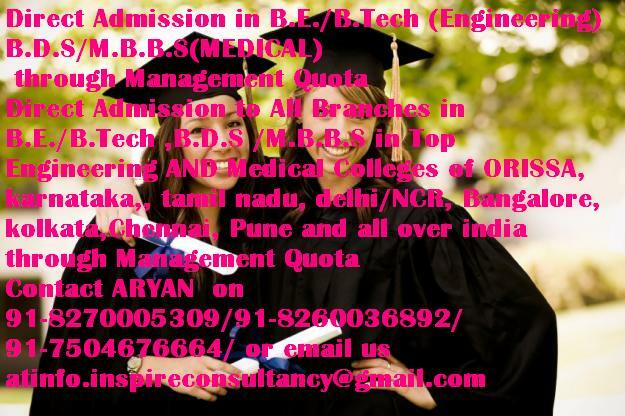 Booking in advance for 2013 batch in most of the colleges is going on . 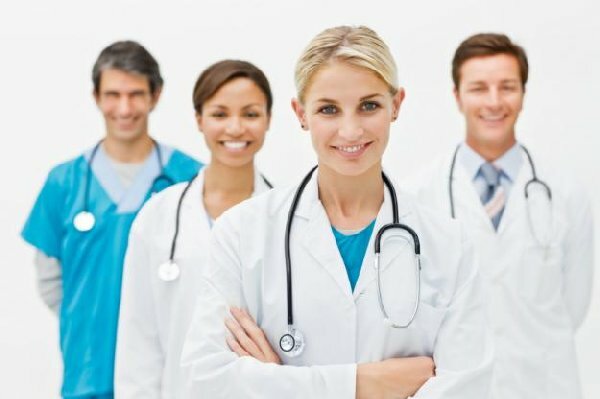 MBBS,MD,MS,MDS,BDS,BVSC admissions in Top Private Medical Colleges of INDIA and Deemed Universities to INDIAN/FOREIGN STUDENTS. 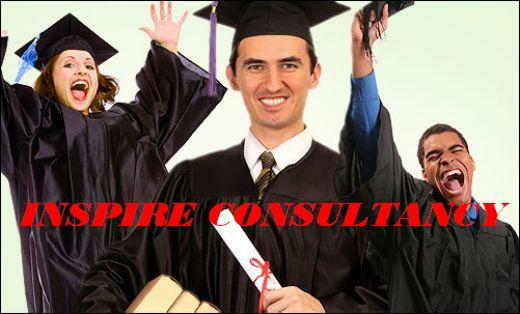 INSPIRE CONSULTANCY exclusively deals in MEDICAL ADMISSIONS only. INSPIRE CONSULTANCY believes in close interaction with the students, and our success can be measured by the large number of students who have got admission to various higher educational institutes in INDIA. Annually more than 300 students are recruited for various courses in India . The best thing that differs us from the rest of the consultants is that “WE DO NOT CHARGE ANY MONEY BEFORE THE ADMISSION OF THE CANDIDATE” and our service charges are very reasonable . So Dear Parents/Students do not get misled by the false claims of others and just CONTACT US ONCE before taking the final and most important decision of your career. 9) Guntur Medical College Govt. 1946 125 Council has recommended withdrawal of recognition of the degree and stoppage of admissions to Cent. Govt. 13) Konaseema Institute of Medical Sciences & Research Foundation, Amalapuram Society 2005 100 Permitted u/s 10(A) for 2007-08. 17) Medicity Institute Of Medical Sciences,Ghanpur Society 2001 100 Permitted u/s 10(A) for 2007-08. 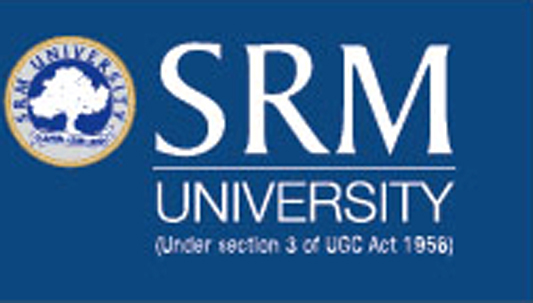 18) MNR Medical College,Sangareddy Trust 2002 100 Permitted u/s 10(A) for 2007-08. 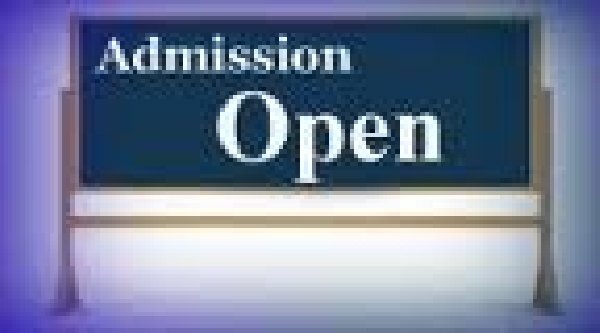 24) Prathima Institute Of Medical Sciences,Karimnagar Society 2001 150 Permitted u/s 10(A) for 2007-08. 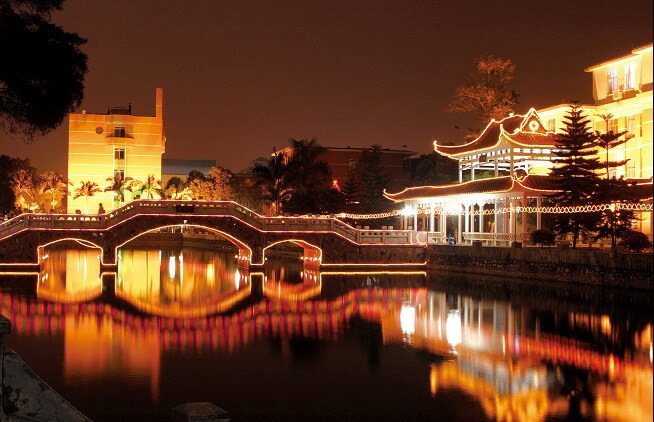 Note: the colleges listed above does not meanthat allthe colleges have management quota/nri quota..
Guangxi Medical University (GXMU), one of the five provincial key universities, is located in NanningCity, the capital of Guangxi Zhuang Autonomous Region. It was one of the earliest eight nominated medical schools in Chinato enroll the students from Hong Kong, Macao, Taiwanand the overseas Chinese. A long history of school-running. Our school was founded in Nanning City on Nov. 21, 1934, with a Kwangsi Provincial Medical College as its predecessor and a Dr. Ge Shaolong as the first director of the college. Dr. Ge obtained his doctoral degree in Japan and worked as a professor of Department Otorhinolaryngology of Peiping Medical University. In 1940 the school moved to Guilin. Before 1949, the school had experienced seven times of resettlements, three times of renaming and much great hardships, but never stopped its school-running. In November, 1949, the college was renamed Provincial Medical College of Guangxi, and then in 1952 it worked directly under the Central South Ministry of Health authorized by the Central Ministry of Health. 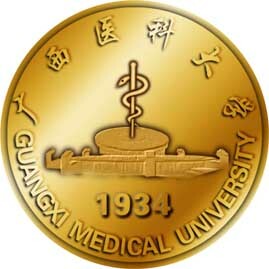 Approved by the Central Ministry of Health in April, 1953, the college renamed itselfGuangxiMedicalCollege. One year and three months later, the school moved fromGuilin back toNanning. 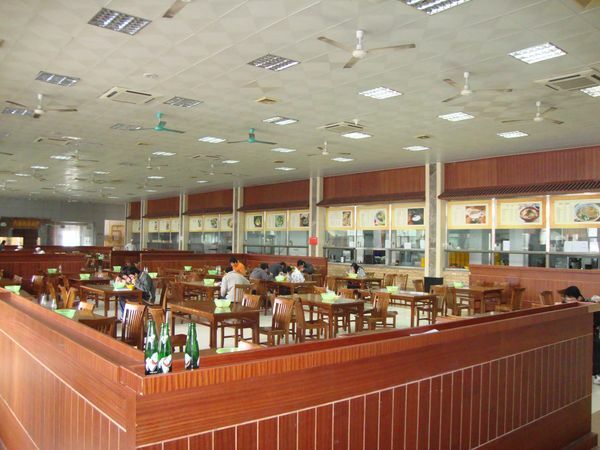 The campus covers an area of 713,341 square meters in total, with an average of 77.00 square meters per student; the utilization area for teaching and administration is 208,972 square meters, with an average of 22.56 square meters per student; the area of students’ dormitories is 77,766 square meters, with an average of 8.39 square meters per student; the sports grounds, buildings and facilities, complete and with an average of 6.58 square meters per student. On the campus are advanced multimedia classrooms, experimental labs and training bases of clinical skills, of which are 2 key labs jointly constructed by Guangxi and the Ministry of Education, 6 key labs of provincial level. A school web of 1Gbps with its desktop of 0.1 Gbps, a library with 990,160 copies of papery literature and an average of 80.22 copies per student, and 8 e-databases containing 863,100 copies, form a complete information-service system on campus. The university includes 19 schools (of which 7 non-affiliated schools), 3 teaching departments and 10 affiliated hospitals (of which 7 indirectly under the school): School of Pre-clinical Sciences,School ofPublic Health,School ofPharmacology, the First School of Clinical Sciences,School ofOncology,School ofStomatology and so on. TheFirstAffiliatedHospital (one of the Best 100 Hospitals of China), theAffiliatedTumorHospital and the Affiliated Hospital of Stomatology are the largest A-level Tertiary polyclinic or specialized hospital(s) in Guangxi, and of “theMostReliableHospital”. 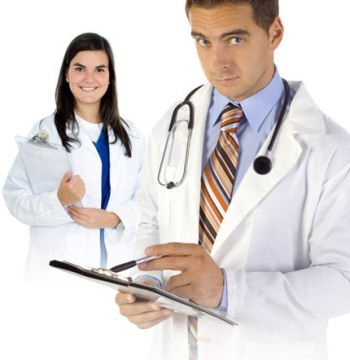 TheFirstAffiliatedHospital is of “A Hundred Best Hospitals” of the country. Graduate students were enrolled in 1978 with the approval of the State Council. 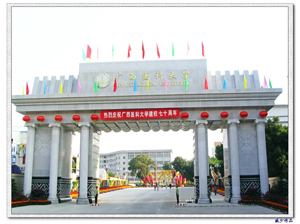 GMU was qualified to confer master’s degree in 1981 and doctorate degree in 1984, which was the first batch of institutions to confer master’s degree and the second batch to confer doctorate degree and the first doctoral discipline in Guangxi. The Mobile Station of Postdoctoral Clinical Research (clinical medicine) of GMU was established in 2001, which was the first of its kind in Guangxi’s higher institutes. Presently there are three mobile stations, including Pre-clinical Medicine, Pharmacology and Clinical Medicine. Human Anatomy and Histo-embryology, Pharmacology, Pathology and Pathophysiology, Internal Medicine, Surgery, Pediatrics, Oncology, Otoralyngology Epidemics and Health Statistics. There are 4 first-level disciplines, including Biomedical Engineering, Pre-clinical Medicine, Clinical Medicine, Health Statistics and 39 second-level master disciplines. There are 1 state key (cultivating) discipline, 1 key specialty of “the 11th Five-Year Plan” of the State Medicine and Drug Administration and 10 key provincial-level disciplines. There are 7 undergraduate specialties, including Clinical Medicine, Preventive Medicine, Stomatology, Pharmacology, Nursing, Laboratory Medicine and Information Management and Information Systems (Medicine). The seven-year program of clinical medicine was approved to enroll nation-wide in 2000, which was the first in Guangxi’s higher institutes. There are 1 state-level specialty with characteristics and 3 provincial high-quality specialties. There are 17 provincial-level elite courses and 21 key courses. The school has a full-time faculty of 834, of whom 204 bears senior professional titles, 284 vice-senior titles, accounting for 58.51% of the full-time total. The teachers with doctoral degree are 225 in number, master 406, accounting for 75.66% of the full-time total. Tutors of doctor are 86 in number and advisers of master 405. The ratio of teachers to students is 13.81:1, and that in medical field 7.72:1. The teachers who enjoy the special allowance from the state government are 68 in number, the young and middle-aged specialists who bear the national level title of outstanding contribution 6, national model teachers, excellent teachers and pioneer workers 18, winners of the national May 1st Labor Medal 3, and winners of kinds of honor 52 person-times. 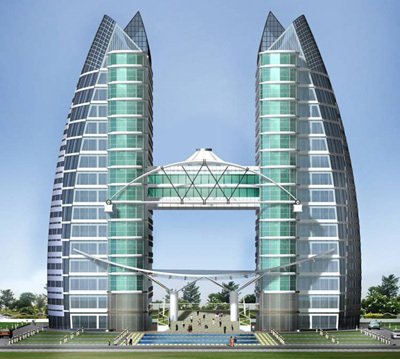 In addition, the school has a group of excellent calibers, who are rated as candidates for cultivation projects of leading scholars at higher institutes of levels. In 2003 our school began to enroll the students with their entrance-exam results qualified for key universities. And now there are 9264 full-time students on campus, of whom are undergraduates 4979 in number, master candidates 1705, doctoral candidates 149, international students 349, students of higher technical vocation and full-time adult 2082, coming from 26 provinces, autonomous regions, municipalities, Hong Kong, Macao, Taiwan province and 19 countries. Since 1978, the school has enrolled international students from 54 countries. Notable achievements in teaching reform. With educational and teaching reforms being advanced, the priority of teaching in our school has been promoted. 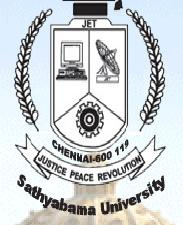 Since 2004, the university has assumed 499 research topics on teaching reform, with teaching achievement prizes awarded of 17 provincial level for recent 2 sessions, and has established 1 innovative and experimental zone for cultivating patterns of national level talents, 4 teaching theaters of provincial level. Teachers of the school have compiled or jointly compiled 109 sets of teaching materials, of which 49 is national project textbooks, 14 sets authored, winning 15 provincial level prizes for excellent teaching material, state or ministerial level prizes for multimedia teaching courseware, of which 5 is the national first prize, and 12 the second prize. From 2004 to 2007, the graduates from our school had taken part in the National Test for the Qualification of a Clinician, with throughput rates higher than those of the years respectively by 9.35%, 8.30%, 14.40% and 14.46%. Outstanding achievements in scientific research. Our university regards the scientific research as the important measure to improve the teaching. Awarded the Scientific and Technological Progress Awards of national and provincial level, the research departments of Cancer Prevention and Treatment, Cardiovascular Diseases, snake venom and hemoglobinopathy still play an important role in the scientific research. We also strengthen the construction of Experimental Center of Medical Sciences of GXMU and Guangxi Laboratory Animal Center. For the past five years, Guangxi Medical University has acquired 1104 projects of national and provincial level, of which 51 have been funded by the National Natural Science Foundation and 91 projects have been awarded the Guangxi Scientific and Technological Progress Award. Basic and Clinical Study of Common Pate-Cervix Malignancy in Guangxi was awarded Guangxi Special Contribution Award for Science and Technology. 30 projects have been applied for the patent. 3755 research papers have been published in foreign journals and Chinese core journals, of which 62 have been included in SCI. There are 30 works edited and co-edited by the universities. PhD thesis The Effect of Leucocyte Interferon-5 on Pathogenesis of Bronchia Asthma was assessed as the National Excellent PhD thesis, which is the first one among the universities in Guangxi. 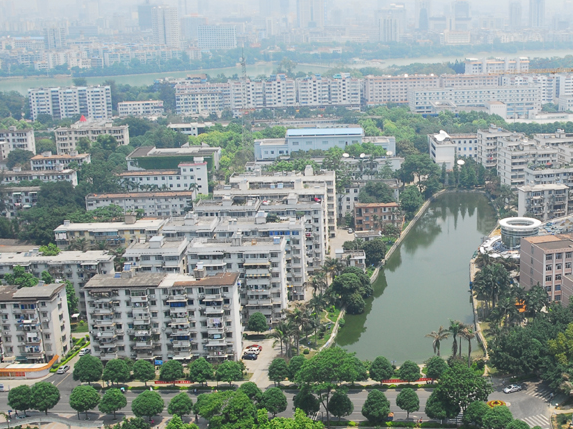 Innovative teams for respiratory diseases, popular disease in Guangxi, and organ rebuilding were assessed as “Teams for Innovation in the Construction of Talent Highlands in Guangxi Institutions of Higher Learning”. Frequent international communication and cooperation. GXMU have established relationships of cooperation and exchange with the universities, research institutions and hospitals of 54 countries and areas, the U.S. , Canada, the UK, France, Germany, Denmark, Sweden, India, Japan, the Republic of Korea, Australia, Vietnam, Thailand, Singapore, etc. And foreign scholars from many countries and regions have been to GXMU for academic exchanges and visits. Meanwhile, GXMU successively sent over 400 of its staff members abroad to give lectures, study, pursue degrees, and/or attend international conferences and lectures. 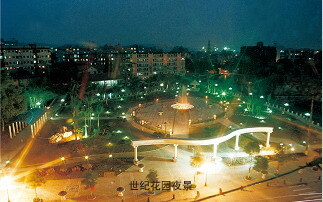 In the history of 74 years, our school has followed and developed the tradition in school-running, “Create medical professionals for Guangxi, who serve the local people of the province.”, and with generations of pioneering and hardworking, has developed from a then medical college into one medical university of today —— the center for higher medical education, research,clinical medicine, preventive medicine and health care in Guangxi. In a new period of development, teachers and students of the school, with pragmatism, innovation, progress and enterprise as foundation for its development, are applying the Scientific Outlook on Development to our work, improving teaching quality and advancing colligate strength of our school for the purpose of building up a medical university with local feature and teaching-researching orientatioN………..
INSPIRE CONSULTANCY IS THE CONSULTANCY MADE BY STUDENTS ITSELF..AND WE KNOW THE VAUE OF MONEY.. WE ARE NOT DEPENDENT ON IT TO RUN OUR FAMILY LIKE OTHERS..WE WILL DO YOUR ADMISSION AT THE CHEAPEST AND MOSTLY AFFORDABLE RATES. INSPIRE CONSULTANCY has been helping the students from all parts of India to get admitted in the desired institutions and pursue the chosen course. Our goal is to offer knowledgeable, professional & career oriented educational solutions that make the admission & application process as smooth as possible. We advise students to do internship inIndiaas they have to enhance their medical skills inIndiaand not inChina. If the student does internship from china then the fees is half for that year but inIndiastudents do not have to pay anything. MCI SCREENING COACHING FACILITY AVAILABLE FOR ALL STUDENTS .INCHINAAFTER COLLEGE HRS. @20000RUPEES/YE. THIS IS OPTIONAL WE DONT EVEN INSIST. IT IS BASICALLY FOR OUR PREVIOUS YEAR STUDENTS WHO HAVE REQUESTED US TO DO IT FOR THEM SO IF A STUDENT WISHES TO DO IT FROM NOW ON HE/ SHE CAN BUT IT IS FULLY OPTIONAL. NORMALLY COACHING CENTRES IN INDIA CHARGE 30000RS/ YR FOR POSTAL AND WE OFFER 20000RS FOR CLASSROOM COACHING AND THAT TOO IN CHINA STUDENT DOESNOT HAVE TO BEAR THE FLIGHT CHARGE TO COME TO INDIA ALSO. No hidden charges 17 lakhs includes tution fees ,hostel fees,lodging,fooding,one way air ticketvisa and everything ELSE…. Communication and Liaisoning with the Guangxi Medical University on behalf of the student including processing of Admission Form and applying on behalf of the student. Arranging of Admission Letter / Invitation to study from Guangxi Medical University. Guidance /Assistance in procuring the Medical Test Certificate required by the University. Providing the Application Form for obtaining Eligibility Certificate from Medical Council of India free of cost, and necessary guidance/assistance in obtaining Eligibility Certificate. Guidance / Assistance in Passport Application. Assistance in obtaining Foreign Exchange for paying of fees. Guardian meetings will be organized from time to time and the date, time venue will be notified. This meeting will ensure our transparency and also the difference from other association as we believe that our real performance is always judged by the parents who have believed in us. Guardian are allowed to put their views regarding upliftment of our association and also raise complaints if any. Candidate’s academic record will be monitored by us and the reports will be mailed to the parents at their mailing address in India. Any kind of inconveniences perceived by the student and parents will be dealt by our Student Coordinator (staying inside the University) and issues will be mitigated at the earliest. Student can return to India as and when required, we will arrange for theirair tickets which is optional and subjected to payment. We have facilitated the option of MCI screening test coaching in China itself by Indian teachers. This facility is entirely optional and subjected to payment, we never ask the student or insist them to go for it from first year or any year but if a student feels it important then can avail it from first year itself or from any year he/ she feels it to be required. Providing Registration Facility to block a medical seat in the University, provided the initial payment has been received. Forming batches and organizing their travel arrangements. Booking of the Air Ticket for the student from Kolkata to Kunming and from Kunming to Nanning at no extra cost. Arrangements to receive the student on his/her 1st arrival at the Kunming Airport and connecting flight from there to Nanning airport and then to the University at no extra cost. Providing vital information, tips, guidance and assistance to the student for the stay during their entire course of study inGuangxiMedicalUniversity and providing access to Indian students Community.